If your senior family members walk in the door and toss their keys wherever, they will likely have a hard time remembering where they put them later. Teach them to leave the keys and other important things in the same place repeatedly. This will make it much more likely that they can find the items when necessary. This is a part of cleanliness, which makes finding things easier. You should also help your loved one pay attention to hygiene. Get him or her into a routine of tooth-brushing and washing up every morning and night. Habits like this are a great stability factor in the lives of seniors, especially those who are losing their long- and short-term memories. If the senior is in assisted living, work with the staff there to establish a routine based around the scheduled community activities like meals and classes. This will help him or her ease into living at a new place and allow for some independence while he or she can still take care of himself or herself to some degree. Encourage your senior loved one to write down important things to help them remember. 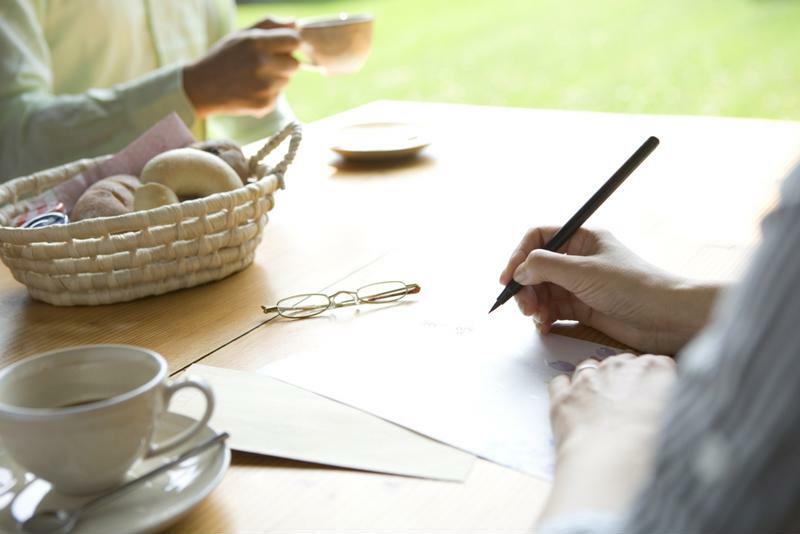 When your parent or other senior friend or relative is not ready for assisted living but is having some memory trouble, it's a good idea to start writing things down. Keep a notebook by the phone filled with important information like phone numbers for family members, the police and his or her doctor. Also add a calendar or planner so he or she can write down physician appointments, dates for social gatherings and other events. If you call him or her, be sure to mention that he or she should write down what you're saying, even if it's just "Do the laundry on Thursday." This way your senior loved one has something to turn to when he or she forgets what he or she is supposed to be doing a certain day or whether he or she has any plans. Even people undergoing Alzheimer's treatment have difficulty with memory. One way to help them recall something is to use repetition. If you are coming to visit on Saturday, for instance, have your senior loved one repeat this fact multiple times. Then, ask him or her what's happening on Saturday. If he or she doesn't reply that you are going to visit, tell him or her again and repeat the information. This can be frustrating for you and for the senior, but it can make a big difference in his or her recall capabilities. Encourage other members of your family and friends of the senior to also try this method. You may see a difference in his or her accountability as the repetition helps him or her recall important facts. It can be a scary time when you're watching someone with Alzheimer's continue to lose his or her memory. At this period, it's important to take control of some of the aspects of his or her life that he or she can no longer handle alone. This may mean helping with their finances by paying all their bills and supplying him or her with a weekly allowance. It may seem insensitive, but this can prevent people with memory loss from losing their wallet and even forgetting to pay the rent. Memory issues are not just going to affect whether a senior goes to lunch on time – they can have serious implications if the recall issues involve money matters. Your loved one may even require a move to assisted living. Here, seniors will have the care they need and people around to assist them whenever necessary.